Planning a family trip has never been easier and more fun! Our specially designed packages offer a variety of physical and educational activities available year-round, including our 3-story Play Structure, Rock & Ropes Course and Bowling. Visit our Glenridge Golf Course or Big Splash, Waterloo Region’s largest outdoor waterpark. Take an unforgettable journey through the world’s largest indoor, free-flying aviary! 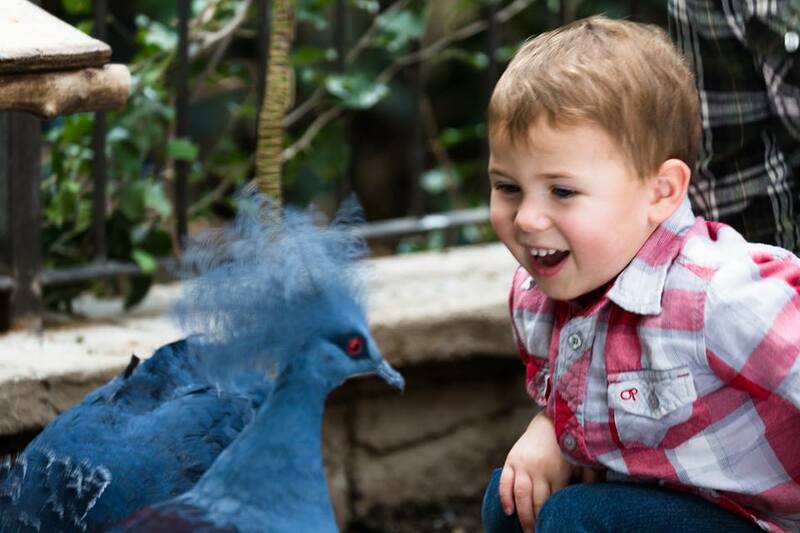 Experience the enchanting splendor of the Lost Kingdom where guests will have unique opportunities to interact with spectacular birds and reptiles from around the world in our accessible, multilevel rainforest. A soaring adventure for the whole family! Flight of White: Experience a Snowfall of Butterflies! This truly unique holiday exhibit transforms the tropical butterfly conservatory into a magical oasis featuring 1000’s of additional Rice Paper butterflies flying freely through the Conservatory. A wide range of attractions from around the world includes: Daredevil Hall of Fame (descriptions of those that dared to plunge into the Falls) and Hall of Dinosaurs. Mineralogical collection, Indian Lore gallery, Zoological collection and more. May to Sept. 2016 Find Fireworks and nightly Illumination Schedule. Prior to the falls night fireworks at 8 p.m. enjoy the Coca Cola Concert Series on the Illumination Tower Stage in Queen Victoria Park, Niagara falls. Fort George Parks Canada National Historic Site from the 1812 period. Games and activities abound and children can play the same games that their forefathers would have played in the early 1800’s. Transport your family or classroom to a journey into the past with costumed interpreters and an authentic environment to Isaac Brock’s Headquarters at the onset of the War of 1812. Fort George offers a variety of programs (1, 2, 4 and 24 hours) available year round and tailored to all grades. Advance booking is required for all programs. Enjoy more than 100,000 sq. ft indoor water park with 13 huge water slides, a giant wave pool, 4 swimming and activity pools, a giant water fort, a lazy river and 60,000-sq.-ft outdoor water park (weather permitting). Call about special family and school trip packages. Encounter the world’s most extraordinary humans. Discover the tallest, shortest, heaviest, fastest, loudest and thousands of amazing facts and feats. The year is 1812. You’re far from home in the unknown wilds of Upper Canada. The place is Fort Erie and all around are the sights and sounds of men preparing for battle. Step back into a time of red coats, black powder and gray fortress walls. Over 200 years of living history resides within, at Old Fort Erie. Our upscale Homewood Suites by Hilton® Cambridge-Waterloo hotel is the perfect home environment while enjoying all of the leisure activities southwestern Ontario has to offer. With easy access to Highway 401, spacious suites in a variety of options, a range of inclusive offerings such as daily hot full breakfast, WI-FI, parking, and in-suite kitchens, you’ll feel right at home! Get ready to brave the raging waters as IMAX® takes you on a heart-pounding ride over Niagara Falls. Travel back in time to learn of its 12,000-year history and experience the death defying stunts performed by daredevils who challenged the fury of Niagara Falls. The museum complex features a pioneer home furnished with original material, and a stone schoolhouse. Join costumed interpreters for a guided tour of the Fry House, which depicts the lifestyle of a Mennonite family in the 1830’s, then proceed to the one-room School House which was built in 1859. Travel back to the world of slates, pen and ink, and separate entrances for boys and girls! Located: 3800 Main Street Jordan, ON. At Journey Behind the Falls, experience the awesome spectacle of one-fifth of the world’s fresh water crashing down to the basin below. Elevators descend 150 feet through bedrock to tunnels that lead to the Cataract Portal and the Great Falls Portal, which is one third of the way behind the massive sheet of water. Then you walk on to the Upper and Lower Observation Decks at the very foot of the Falls. Home of Canada’s Most Famous Heroine During the war of 1812, a brave woman set out on a perilous journey in the service of her country and stepped forever into the history and folklore of Niagara. Travel back in time to her lovingly restored homestead. Guided tours are provided by qualified costumed interpreters. Light refreshments, ice cream, Laura Secord chocolates and souvenirs are available. a 15-minute scenic drive north of the Falls along the Niagara Parkway. Phone: 1-877-NIA-PARK or 905 371-0254 ext. 2. The restored home of rebel publisher William Lyon Mackenzie reveals 500 years of printing technology, amid the authentic ambiance of a period print shop. Rarest in the museum’s collection is the Louis Roy Press, oldest in Canada and one of the few original wooden presses remaining in the world! A hands-on experience is encouraged with a working linotype and 8 operating heritage presses. Qualified staff provides guided tours of the site, interesting demonstrations and hands on opportunities. Located: 1 Queenston Street, Queenston, Ontario, just a 15 minute drive north of the Falls on the scenic Niagara Parkway. Located: Niagara Parks Commission, niagara falls, ON follow Niagara parkway north to the Botanical Gardens. This museum is a collection of the strange, the odd, and the unbelievable. Hundreds of exhibits and illusions. NEW white lion exhibit now open! Safari Niagara features over 750 exotic and domestic animals and birds; 150 acres of landscaped grounds; interactive shows and tours; feed stations throughout the park; a Gator Express tram Splashpad and playgrounds. A gift shop, restaurant and picnic areas are on-site. ​Located in Waterloo Region west of Toronto and within an hour and a half of Niagara Falls. It is renowned for Canada’s largest year around Farmers Market and the charming Village of St Jacobs, and is also home to a population of approx. 4,000 Old Order Mennonites who farm the surrounding countryside. Explore the Costume and Props Warehouse; one of the largest in North America, and full of incredible hand-stitched costumes and realistic props. Or catch a glimpse behind the scenes with a Festival Theatre Tour and learn how some of the magic is created on the stage. Take part in fun pre-performance activities that get you ready to see the show. Ask about special family rates! Looking for a unique family or school trip? A program at Woodside provides your students with an immersive experience in the 1890’s. The house brings the Victorian era of kerosene lamp, corsets and wood stoves to life and offers information about Prime Minister Mackenzie King. Our site offers pre-build programs and specialized programs. Open: seasonally October through December (please check website for specific dates).